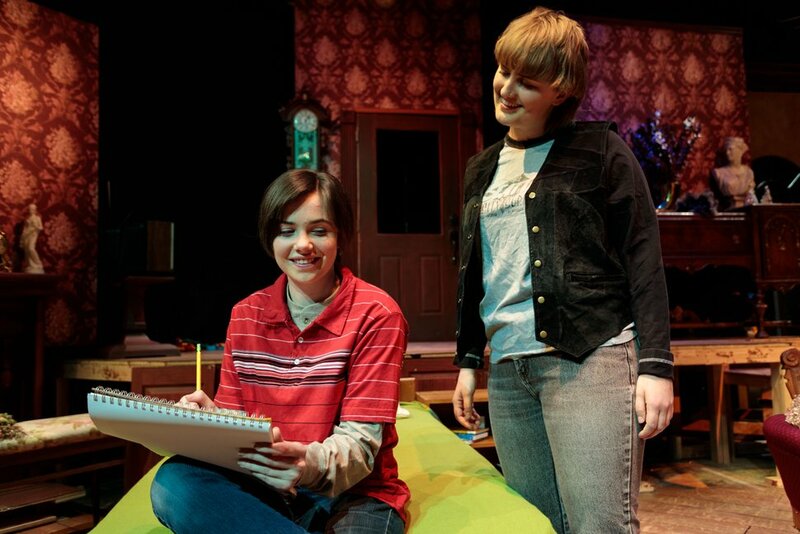 Salt Lake Acting Company falls in love with the ‘beautifully crafted’ Tony Award-winning ‘Fun Home,’ based on Alison Bechdel’s cult-favorite graphic novel. 1. 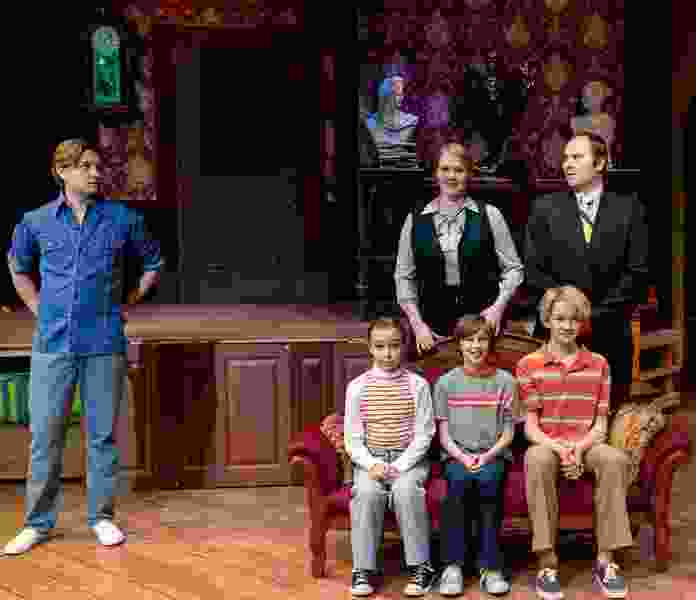 (Courtesy photograph by dav.d daniels of dav.d photography) | Topher Rasmussen, Natalia Bingham, Oliver Kokai-Means, Matthew Rees, Ashley Wilkinson and Benjamin Henderson in Salt Lake Acting Company's "Fun Home." Everything about the Tony Award-winning musical “Fun Home” — playing April 6 through May 13 in a regional premiere at Salt Lake Acting Company — sets it apart from the usual Broadway theatrical spectacle. It’s thought to be the first Broadway musical to feature a lesbian lead character. But even more spectacular than that, says director Jason Bowcutt, it’s a “beautifully crafted” story. 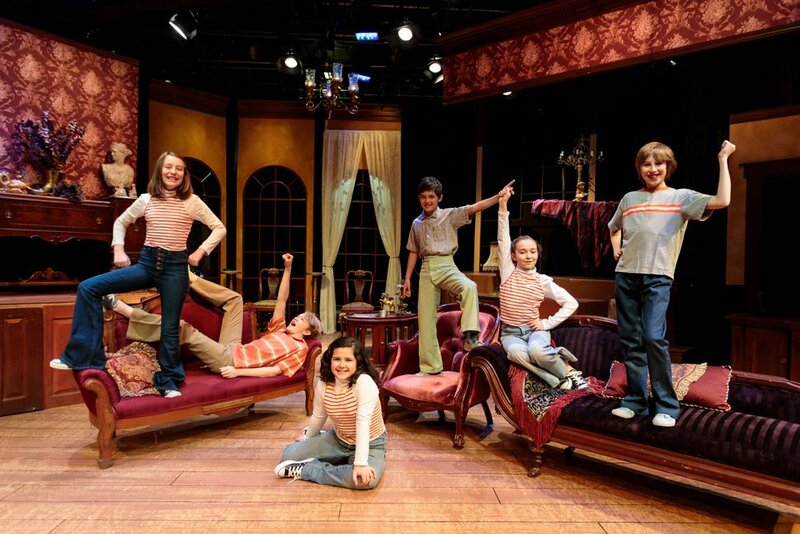 (Courtesy photograph by dav.d daniels of dav.d photography) | Child actors — Ava Hoekstra, Matthew Rees, Presley Caywood, Jack Sarfati, Natalia Bingham and Oliver Kokai-Means — in the cast of the musical "Fun Home." The musical has deep Utah roots, as it was developed at Sundance Theatre Labs in 2012 and 2013, just the most recent Sundance project to be produced at a Utah theater company. (Others include SLAC’s “Circle Mirror Transformation,” Plan-B Theatre’s “The Laramie Project” and “The Tricky Part,” and Pioneer Theatre Company’s “The Light in the Piazza”). “Fun Home” explores Alison’s memories of growing up in the family’s funeral home business. The musical explores the graphic artist’s vexed relationship with her father, a teacher, who is devoted to restoring the family’s Victorian home on Maple Avenue. It’s only after she comes out to her parents and, just months later, her father’s sudden death — was it an accident or suicide? — that she realizes he had long struggled with his own sexuality. It’s the voice in Bechdel’s captions, “erudite, wry and aching — the voice of a truth-seeker,” that brings to life the character of Alison in the musical, writes playwright Lisa Kron in the script’s foreword. 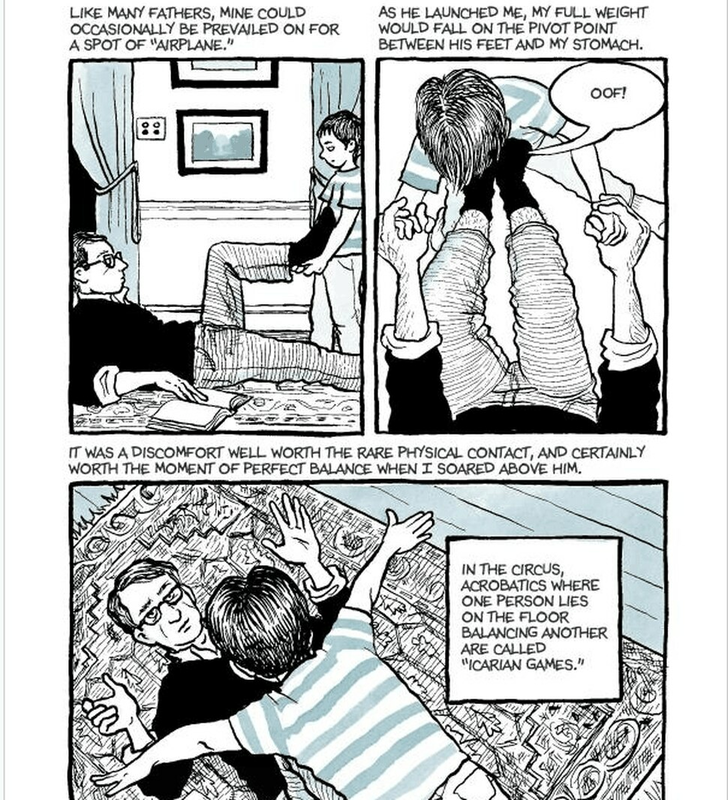 (Courtesy image) | A page depicting a childhood memory of Alison Bechdel and her father, Bruce, in the graphic artist's memoir, "Fun Home." 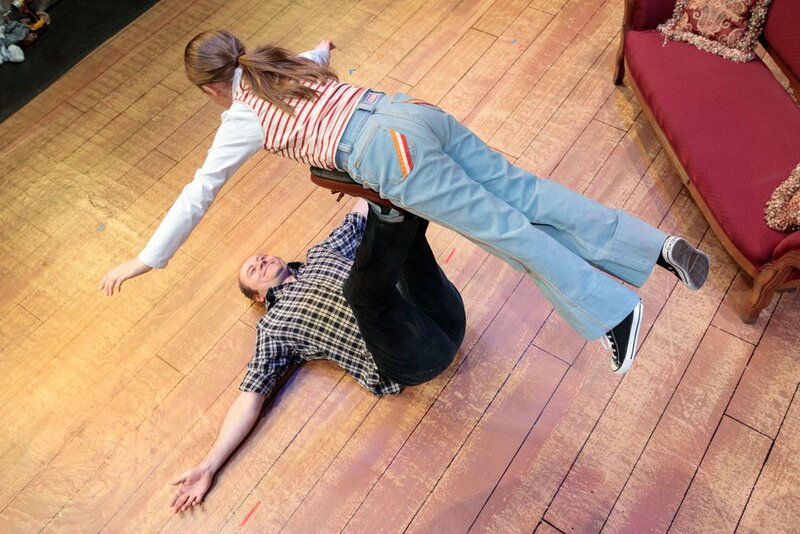 (Courtesy photography by dav.d daniels of dav.d photography) | Benjamin Henderson and Natalia Bingham in rehearsal for "Fun Home," recreating a childhood scene from Alison Bechdal's graphic novel, "Fun Home." 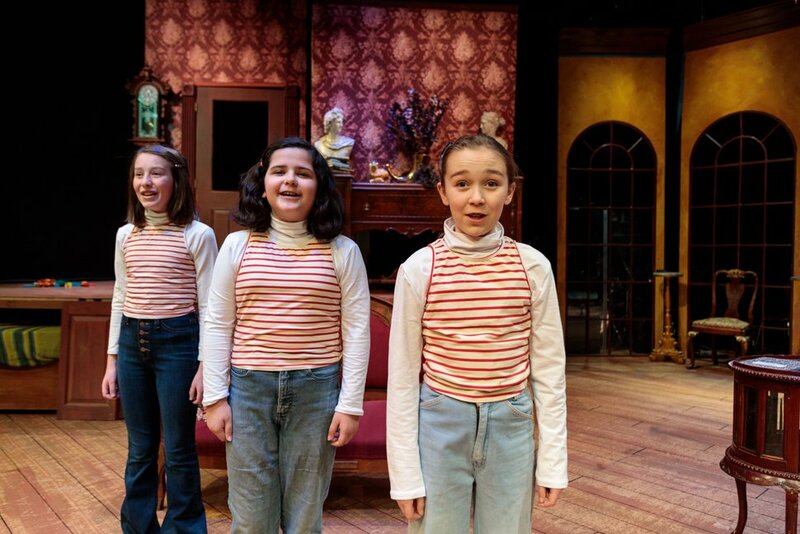 (Courtesy photograph by dav.d daniels of dav.d photography) | Actors Ava Hoekstra, Presley Caywood and Natalia Bingham who share the role of Small Alison in the musical "Fun Home." “Fun Home” was a bucket list play to direct for Bowcutt, who is an admirer of Kron’s work. He met and worked with the playwright as one of the co-founders of the New York Innovative Theatre Awards, honoring the work of off-off Broadway theaters. And Bowcutt directed a 2011 production of her play, “Well,” at Salt Lake City’s Pygmalion Productions. The character of Alison was a dream role for Kennington. “From the moment I first heard the music, I was instantly enchanted by it,” the actor says. (Courtesy photograph by dav.d daniels of dav.d photography) | Actors Hailee Olenberger and Mary-Helen Pitman in "Fun Home." Against the backdrop of Utah’s religiously conservative culture, Fleming thinks many Utah theatergoers will relate to the heartbreaking story of Alison’s mother, Helen (Ashley Wilkinson), who sacrifices her ambitions for the family until she disappears, as she sings in “Days and Days.” And then there are the complications of the character of Alison’s father, Bruce (Benjamin Henderson). “He breaks my heart in this role,” says Bowcutt of Henderson. It’s remarkable to see the kids running around the theater company and then observe the careful way they listen and pay attention in rehearsals, Fleming says. Onstage, “they’re inside the play,” she says. (Courtesy photograph by dav.d daniels of dav.d photography) | The cast of Salt Lake Acting Company's "Fun Home." The score is “beautiful in the biggest sense of the word, beautiful when it’s tragic, beautiful when it’s lighter,” says Fleming, underscoring the remarkable fluidity in the way the story’s spoken dialogue merges into songs. SLAC’s production is anchored by the love the cast brings to this story of an atypical, typical family. “These actors really do have a beautiful sense of the play that goes on between what happens on the stage and what happens in the audience,” Bowcutt says.